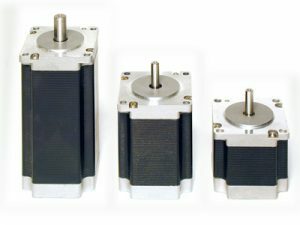 A wide range of stepper motors, from 18 Nm to 50 Nm. All designed by JVL for use with the entire range of JVL step motor drivers and controllers. 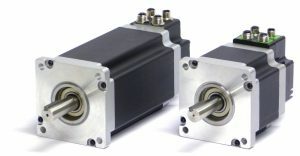 The electronic brake is designed and produced by JVL to be mounted on stepper- and servo motors that have NEMA23 and NEMA34 flange such as the MAC50-141 series of integrated servo motors and the series of QuickStep MIS23x and MIS34x integrated stepper motors. The brake has zero backlash and no auditory noise. 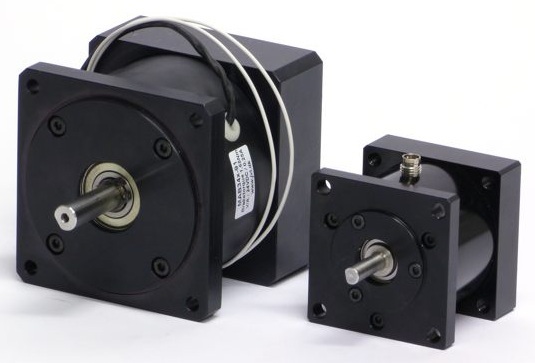 It fits on all step- and servo motors with NEMA23 and NEMA34 flange and can from stock be delivered with different input and output shaft. 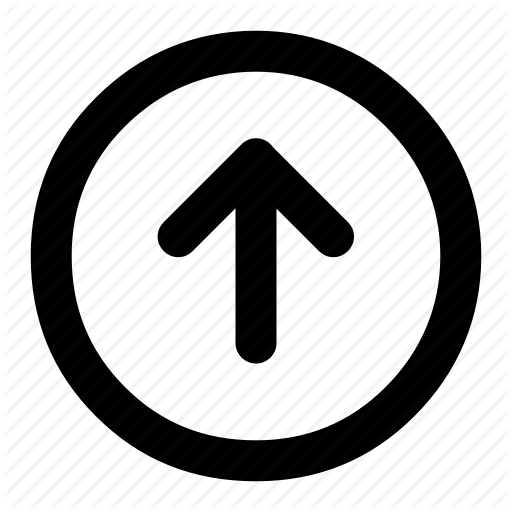 Connection can be wire or M8 connector. Protection from IP44 to watertight IP67. 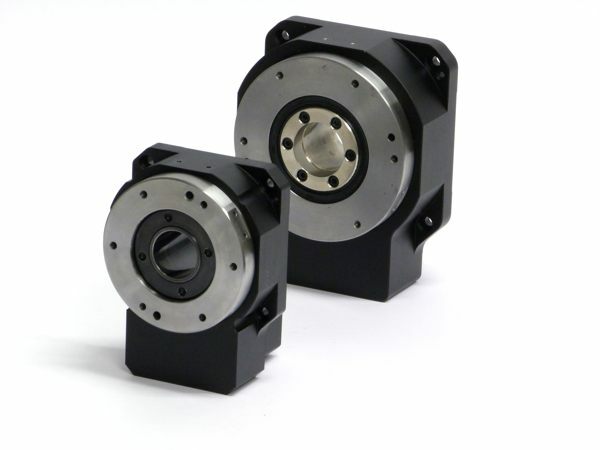 Our new series of Hollow Rotary Actuators, HDCT, offer the easiest possible installation of rotary table applications. 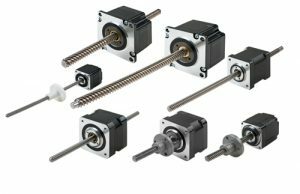 Depending on your application you can choose between servo and stepper motors – with or without built-in (absolute) encoders. 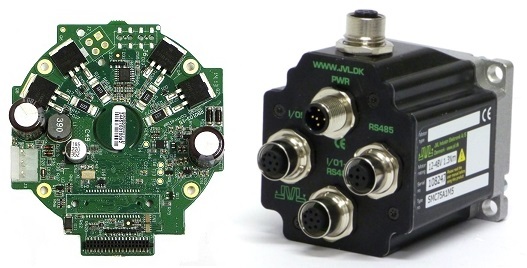 JVL offers a range of encoders. 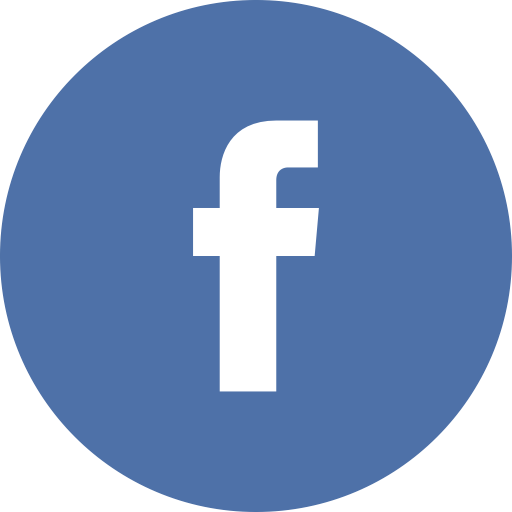 Both linear and rotating, Incremental, magnetic, absolute multiturn. SSI and BISS. JVL is Exclusive distributor for LIKA Electronics and Givi Misure rotational and linear encoders. A wide range of highly efficient switchmode power supplies for supplying the entire range of JVL integrated MAC ac servo motors and integrated QuickStep stepper motors.